Experience Far Eastern Mahjong fun and help find the white rabbit. Experience Far Eastern Mahjong fun and help the temple principal’s daughter in a colorful adventure to retrieve her runaway favorite rabbit. The young lady had only taken her eyes off him for a moment after she fed him when this rascal ran off during the morning prayer! Now you must hurry after this long-eared jester before something happens to him in the wild! 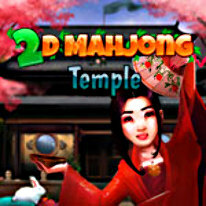 In 2D Mahjong Temple prepare to be mesmerized by 60 beautifully designed levels in three exciting chapters and accept this extraordinary Mahjong challenge!